BATON ROUGE- Police have arrested James-Michael Johnson and 24-year-old John Simpson in the death of 37-year-old Westley Pullins. Simpson was arrested in Houston, Texas and Johnson was arrested in Chandler, Arizona both are pending extradition back to Louisiana. 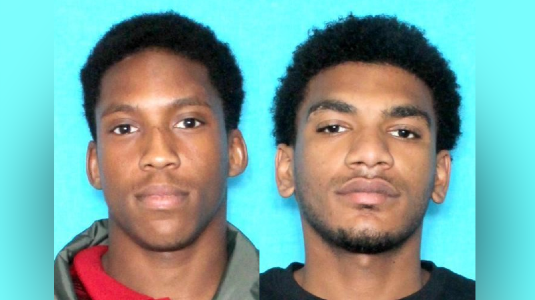 Police named the pair as suspects in the shooting of a man found dead near College Drive last week. The incident was reported on Barber Street near Aldrich Drive just after 3 a.m. Nov. 12. At the scene, police found 37-year-old Westley Pullins dead in the driver's seat of a vehicle from what appeared to be multiple gunshot wounds. He lived just minutes away, at the Fairway View Apartments on College Drive. On Thursday, police identified two suspects in Pullins' murder as 23-year-old James-Michael Johnson and 24-year-old John Simpson. A witness told police that the two had gone to buy drugs from Pullins and Johnson pulled a gun during the alleged deal. Johnson is arrested in first-degree murder and Simpson is arrested in principal to first-degree murder.